The District of Mission Community Service Awards honour those who have demonstrated exemplary volunteerism within our community. 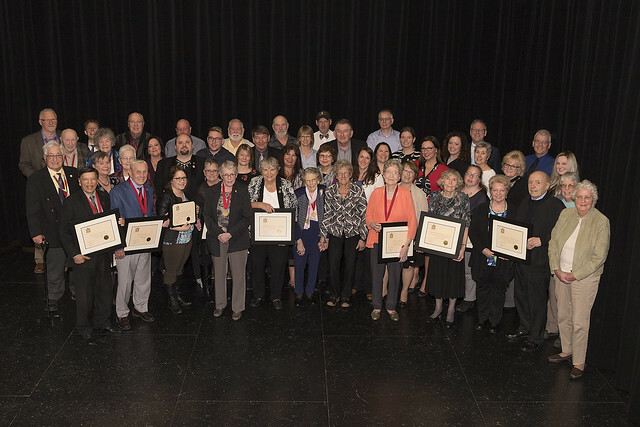 Celebrated biennially, the most recent awards ceremony took place on April 19, 2018 at the Clarke Theatre. The next Call for Nominations period will take place in the fall of 2019. Against the Odds Achievement: For an individual who achieves excellence despite the special challenges faced by people with disabilities. For more information on the Community Service Awards, please contact Christine Brough, Executive Assistant, at 604-820-3703 or cbrough@mission.ca.